From very deep in the Midwood High School archives, here's a portion of the Spring Concert from April 24, 1953. Recognize a song? Let us know its title! All proceeds support the Midwood High School Alumni Association. Listen to Midwood's 1960 Spring Concert! Midwood's 1960 Spring Concert draws on varied influences including Frank Sinatra, African American spirituals, The Pirates of Penzance, and more. Especially moving is the alumni favorite, "Bound in Treasured Chorus." Watch SING '84, Soph, Junior, & Senior! From Friday, December 9th, 1983, watch a marathon video of Midwood High School's Sophomore, Junior, and Senior SING '84. Thanks to Angélica Kerr for sharing this! Midwood High School's Class of '71 skewers the shifting culture of the times in its 1969 Sophomore SING, "Games People Play." From long-haired boys and short-skirted girls, to protesters, low-down gossips, and high society--no one is safe from this cutting humor! Laughs abound in this honest glimpse into a very special time and place. Midwood's Senior Class of 1957 are on trial for a hefty list of charges, and must defend themselves if they want to graduate! This hilarious 50-minute SING skewers the culture of the times, including bohemian artists in Greenwich Village, Elvis fans, high school dropout military recruits, and Jewish mothers concerned about their bubbeles. Midwood High School's 1960 SING competition was performed at the Brooklyn Academy of Music! The Junior class devised "Cosmic Conference," a stunning reflection on the troubled state of life on Earth. When the solar system convenes, the planets put Earth on trial for its many problems. Coming from the generation born during World War II, this piece is an unforgettable statement of earnest belief in creating a better world. Planetary puns, Zsa Zsa Gabor, and a moving alma mater round out this memorable performance. When Midwood students bring the carnival to town, they must teach an unsuccessful clown about humor. This winning 1966 Junior SING features hilarious dialogue, especially the Abbot & Costello-like track, "Knock Knock Jokes." In Midwood's SING '66, the Seniors bring a chess board to life in "War and Pieces" and explore the roles of kings, queens, knights, and pawns. In "My Little Fricassee," Midwood's Class of '74 tells the story of a barnyard chicken coop. While all the chicks hatch, one remains in its shell. Enjoy this eggcellent offering from Junior SING 1973! 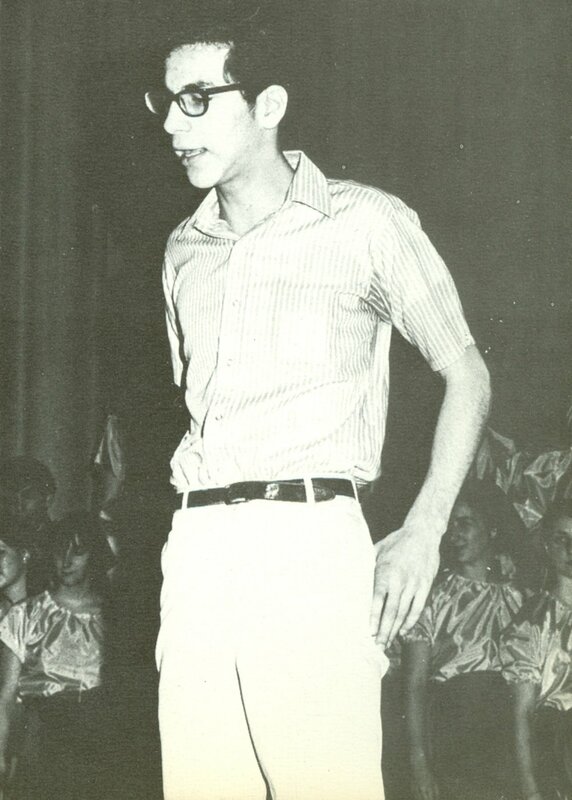 Class of '70 Junior SING (1969) "No Strings Attached" + Pictures! In the 1969 Junior SING, "No Strings Attached," Midwood's Class of 1970 tells a tale of societal puppetry and cutting loose those strings. When the puppets realize that the Puppetmaster's teachings of hatred and bigotry lead to destruction, they strike out on their own to free their minds. Long before the Robin Williams film, "Toys," the Midwood class of '65 delved into the world of toys for their 1964 Junior SING. When a child prodigy modernizes toys to be realistic, practical, and even destructive, the toys realize they know better. Midwood's class of '55 shows us an eventful day at Midwood H.S. Factory. Seniors both honor and challenge the American capitalist system of efficiency through musical numbers, humor, and a strike! 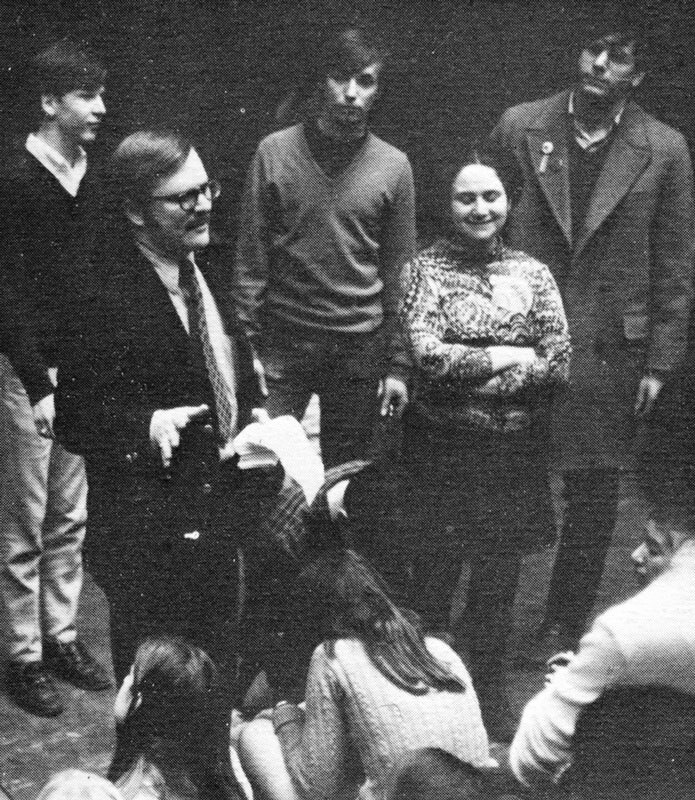 Long before "Toy Story," Sophomore SING 1973 showed us the lives of walking, talking toys. This politically aware SING explores children's fighting games and war in the Vietnam era. Adaptations of songs by The Beatles, Simon & Garfunkel, and Cabaret make for a fun listen. Hear the 1967 Junior SING, "The Man from M.I.D.W.O.O.D." The announcement of SING's results is stalled when Mr. Sarney and Mr. Hirsch go missing! The 1967 Midwood Juniors (Class of '68) deliver a hilarious, sleuthing SING complete with a local detective and a mystery to solve. In Midwood High School's 1955 Spring Concert, the Mixed Chorus delivers a moving performance. The program includes traditional hymns, the story of Babylonian exile, and an operatic rendition of "While We're Young." 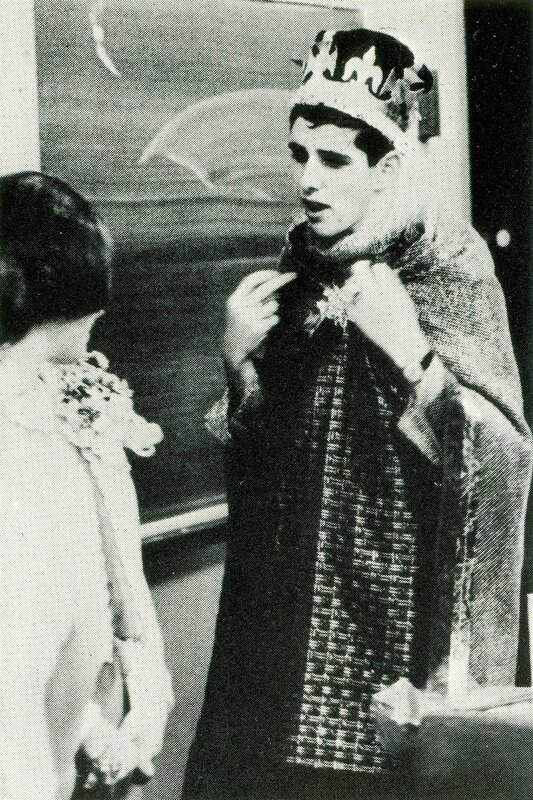 The 1970 Senior SING, "To Be Or Not To Be," takes place in a world where each person needs an existence card in order to exist. Merwin 579 has lost his existence card! What is his fate? Listen as the story unfolds. Highlights include a song to the tune of "Pinball Wizard" and a thoughtful finale to the tune of "In My Life." From deep in the Midwood High School archives comes the 1958 Spring Concert! Led by Nathaniel "Boss" Levine, the Mixed Chorus performs a beautiful program. Highlights include the lively, upbeat "Lindy Mountain Dance" and a sprawling, operatic rendition of "The Night is Young." 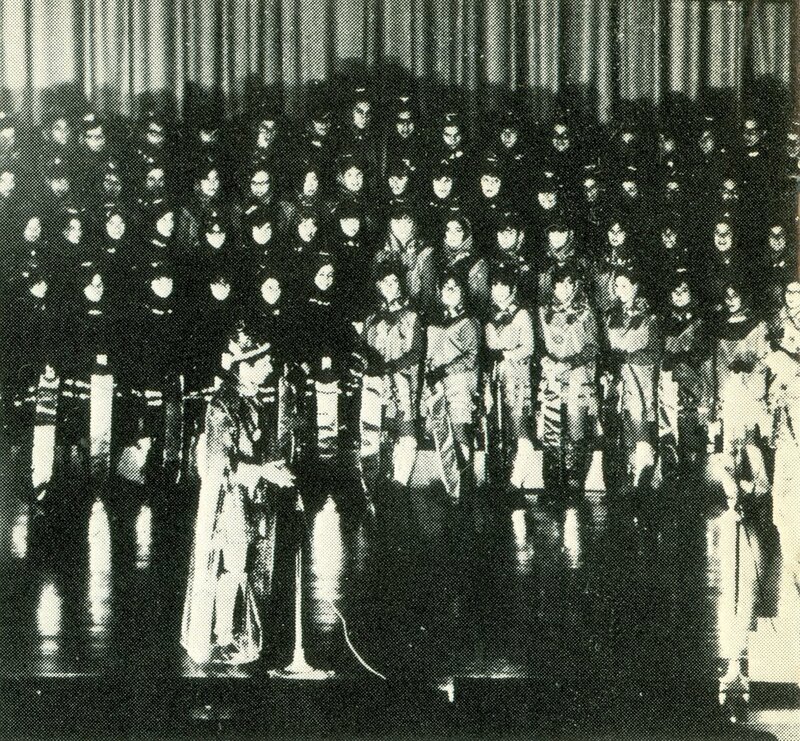 The 1968 Sophomore SING, titled "SING SING SING," comes from a tumultuous year in American and world history. Set in a comically bleak Midwood High School detention prison, it champions the importance of freedom, decision-making, and perseverance. When escape is not an option, the only way out is through. The Midwood High School Mixed Chorus delivers a beautiful array of music in its 1972 Spring Concert. Highlights include African American spirituals, scenes from "Cavalleria Rusticana," and selections from "The Sound of Music."